We're creating a new generation of leaders for communities throughout North America. Our graduates come to the program with a wide range of skills and experiences (listed below) and succeed in an equally diverse range of careers, from public and private schools to natural resource agencies and community service organizations. Adam grew up in Santa Cruz, CA before making his way to Walla Walla, WA for college. He’s been magnetically aligned with the Pacific Northwest ever since, though he’s gone on to pursue an international dishwashing career and has ridden several thousand kilometers on a bicycle. He got into environmental education at the suggestion of a friend, and has worked in outdoor schools in Texas and California. He also has a passion for adventure tourism, which culminated in working for the guiding non-profit Quetzaltrekkers in Guatemala. He’s taking on this Master’s study to give himself an academic bearing in the world of education and the possibilities therein, and currently serves as the Mountain School Curricula and Resources Graduate Assistant. Adam likes active pursuits--cycling, trail running, swimming, hiking, backpacking, canoeing--if only because they give him license to eat so much food. Matt grew up in Southwest Washington, just north of the Columbia River. Early in life, Matt was drawn to the theater, participating in many plays, and eventually earned a B.A. in Theater Management from Western Washington University. 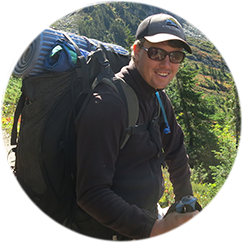 After college, Matt drifted into the wilderness, traveling and working in northern Rocky Mountains where he developed a love of the outdoors, and worked several summers as an Interpretive Ranger and at Glacier National Park. Matt has returned to the state of his birth to pursue an MED in Environmental Education in hopes of developing a career connecting people of all ages to the environments and communities around them. Matt is an avid hiker, skier and traveler. When not out exploring, he enjoys live music, good food, and still can let his theatrical side out when the moment calls for it. Amy grew up in the small town of Winthrop in the Methow Valley watershed. She spent her free time engaged in outdoor activities, such as hiking, skiing; fueling her love for nature and wildlife through exploration and recreation. In 2015 she graduated from the University of San Diego with a B.A. in Biology. Her love for the outdoors led her to wildlife biology technician positions but quickly realized that her passion lie in educating others about the natural world. 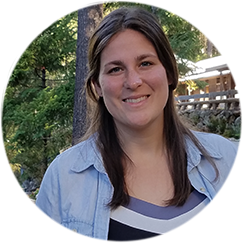 Her pursuit of an M. Ed in Environmental Education is motivated by wanting to create a system where connecting individuals to the natural world is more accessible and affordable, all while developing leadership skills applicable to non-profit organizations. In her spare time Amy still enjoys many outdoor activities like: kayaking, cross-country skiing, horseback riding and hiking. As well as some more artistic ventures like: painting, sketching and dance. 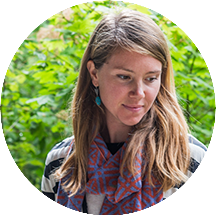 Nicola Follis was born and raised in Bellingham, Washington where her interest in the natural world was fostered through exploration of the North Cascades and the Salish Sea. Childhood experiences encouraged her to attend the University of Washington and receive a bachelor’s degree in Aquatic and Fishery Science. After graduation, Nicola was awarded the Bonderman Travel Fellowship which supported her in solo travel to South America, Indonesia and Southeast Asia over eleven months. Travel helped Nicola become further enamored in Earth’s natural beauty, and the urge to establish connection between communities and place. Returning stateside, she began working as an environmental educator on Catalina Island, California where she strived to empower students to explore, appreciate and develop relationships with nature. 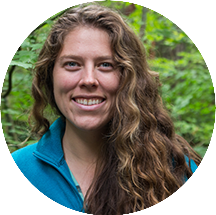 Back home in Washington, Nicola is excited to connect with the North Cascades ecosystem through graduate course work and employment as the Field Science and Phenology Graduate Assistant. Nicola hopes to continue honing facilitation skills in scientific and place-based exploration throughout her residency. 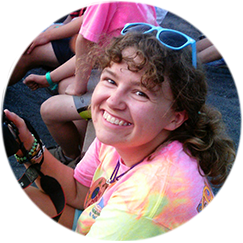 Spencer grew up in southwestern Virginia, where much of her time was spent exploring the Appalachian Mountains she calls home and attending a variety of summer camps. Recently graduating from George Mason University, Spencer has worked as a youth development professional for four years. In this role, she has taught skills in multimedia, shooting sports, environment, team building, and science to a variety of ages in northern Virginia. Her time in this role encouraged her to pursue a M.Ed. in Environmental Education in order to continue sharing her passions and inspire curiosity in those around her. When she isn’t working as the Youth Leadership Graduate Assistant or studying, she can typically be found writing postcards, stargazing, or planning her next adventures in the North Cascades. Dianna was born and raised outside of Philadelphia, Pennsylvania. Growing up, Dianna spent her time exploring and playing in different national parks. For the past several years Dianna has led trail crews with the Student Conservation Association in various locations around the country. After graduating from Bloomsburg University with degrees in Marketing and Management, Dianna quickly realized that the business world was not for her. Dianna is excited to pursue her passion of teaching students in the outdoors. Thumper was raised in the beautiful gray rains of Portland, Oregon. They started working in environmental education as a sophomore in high school and have since explored many different ways to help facilitate youth growth and outdoor learning in a variety of settings. After gaining a BS in sociology with a minor in music from Oregon State University, they traveled north to Washington to be closer to nature. Thumper would say their biggest goal within this field is to always be a part of intentional communities striving for the growth of individuals. They currently give much of their time reaching out to prospective graduate students and the larger community but when they have free time you might spy them singing opera or doodling a quick cartoon. Christine Sanderson was born and raised in Central Wisconsin. After finishing a liberal arts degree in 2014, she moved to Guatemala to work in experiential education. For three years she led, coordinated, and directed educational backpacking programs for an international non-profit that provided opportunities for young adults to engage in ethical travel and examine the intersection between local ecology and social justice. After returning to the United States and managing an entrepreneurship incubator for high school students, she decided to pursue formal training in creative education and non-profit leadership. This led her to the M.Ed. program at Western Washington University and the North Cascades Institute. Christine will be continuing her passion for social justice education as the Equity, Diversity, and Inclusion Graduate Assistant. Chris grew up in the Bay Area and was drawn to wildlife and conservation from a young age. This passion led him to pursue a degree in zoology at the Evergreen State College. 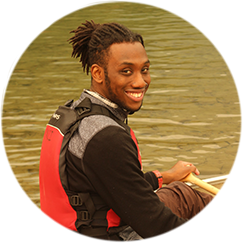 After graduating from Evergreen in 2017 he worked at the Francis Beidler Forest Audubon Center and Sanctuary in South Carolina where he participated in prothonotary warbler research and lead kayak and canoe swamp tours. He was drawn to environmental education because it combines his interests of conservation and public outreach. He hopes to inspire more African-Americans and other marginalized groups to get involved in conservation and environmental justice. He is currently working as the Natural History Collections Graduate Assistant. His hobbies include birdwatching, hiking, backpacking, and kayaking. Carson Yach is a born and raised Washatonian that grew up on the banks of the Spokane River. In 2008 he traveled to the west side of the Cascades and attended WWU where he studied Environmental Education and fell in love with the Cascades. 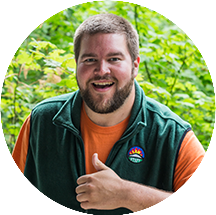 Graduating in 2012 Carson spent the next 6 years on the move as a seasonal outdoor guide. Spending his winters chasing the snow around the tall peaks of the Mt. 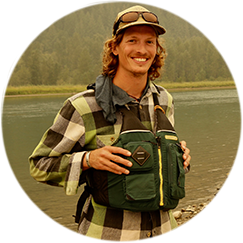 Baker, and his summers working as a river and wilderness guide at a wilderness therapy non-profit program in South-East Alaska has encouraged Carson to pursue schooling at NCI where he has been able to share the knowledge that he has gained over the past decade in the Cascades and grow as an instructor and leader to others. 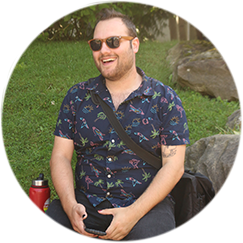 This year he will be working on campus as the Library Graduate Assistant where he hopes to help continue to develop an expanding source of knowledge for his classmates and others at NCI. When Carson is not in class, you may find him in the snowy hills of the Cascades with snowboard underfoot, floating down the rivers by kayak or canoe, or out on the Olympic Peninsula looking for waves to surf. Marissa hails from the beautiful desert of Albuquerque, New Mexico, otherwise known as the Land of Enchantment. After graduating with a Bachelors of Arts in Journalism from the University of New Mexico, she worked in media for companies such as NBC and MTV. She enjoys volunteering for social and environmental causes. While volunteering at the New Mexico Museum of Natural History and Science, she discovered her passion for interacting with children and teaching them about the diversity of their state. She decided it was time to get out of the control room and pursue a career where she can make a difference. 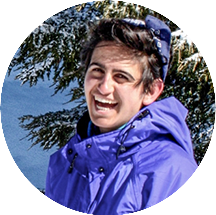 Marissa's love for backpacking, hiking, cycling and climbing led her to want to combine her recreation life with her work life, and what better place for that than the North Cascades Institute! As an amateur photographer, Marissa uses photography to help connect herself and others to place – something she hopes to incorporate into teaching environmental education. Eric grew up in the Skagit River Watershed – as a seventh grader, he attended Mountain School in the days before the Environmental Learning Center – and he’s excited to be undertaking graduate studies in the bioregion that he has called home for most of his life. Eric attended Western Washington University where he earned his Bachelors of Science in Mathematics as well as his teaching certificate. He has taught high school mathematics for the past 10 years. Eric is an Eagle Scout, and remains an active volunteer with the Boy Scouts of America, serving in a variety of roles. He enjoys teaching knot-tying, outdoor skills and campfire songs to anyone who will listen. Eric decided to pursue his M.Ed. 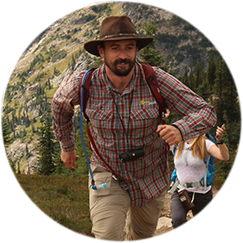 through North Cascades Institute as a natural way to merge his interests in education and the Great Outdoors. Charlee Corra grew up in Los Angeles, California, and has been drawn to science and adventures in the outdoors from a very young age. In her moments of free time, she preferred to be outside rock climbing, skiing, backpacking and exploring nature with friends and family. After high school, eager to pursue science, she ventured east to Boston where she attended Tufts University and received a Bachelors of Science in Biology and Environmental Studies. Her love of ecology, ocean ecosystems and scuba diving then brought her to Northeastern University where she received a Masters of Science in Marine Biology. Reflections on these academic experiences – as well as her time teaching rock climbing and scuba diving – brought her to realize that her passion lies in spending time outdoors and creating a positive learning space where others can make their own unique connections with nature. Charlee hopes that she can help others develop a deep sense of care and stewardship for their natural places and promote healthy living. Liz was born and raised in a small town in California’s Bay Area. Growing up, her summers and winters were spent visiting family in Utah and traveling to Yellowstone. She started at Sonoma State University as a liberal arts major and was planning on becoming an elementary classroom teacher. She realized teaching in the classroom was not her path, and so switched majors to biology. While at Sonoma, Liz enjoyed hiking, swimming in the river, was active on the equestrian team and playing for women's ultimate. She volunteered with the SSU Nature Preserve as a naturalist, and working with school groups became the highlight of her week. 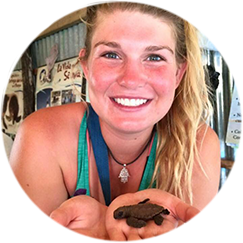 Through a course in Belize, her passion for exploring nature through field biology and ecology was formed. After graduating, she moved to Sacramento and completed a field ecology certificate. While in school, she worked at Folsom Lake College in the zoology lab, helping students with dissections and creating supplemental material for lab. Liz is excited to be a part the Master of Education program, gaining experience with outdoor education and pursuing a field that aligns with her passions. 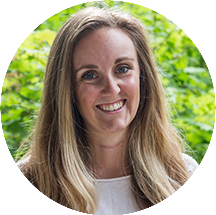 Ashley grew up in Colorado, completed her undergraduate degree at Western Washington University in 2012, and has been living and working in Key Largo, Florida for the last three years. She has always been in love with sharing the importance of our oceans and particularly enjoys teaching about coral reefs. It was because of her interest in education and community building that she applied to the graduate program with North Cascades Institute and Western Washington University. 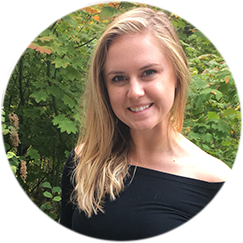 Ashley is motivated to delve into the world of environmental education and place-based learning and is looking forward to spending time outdoors and learning amongst a group of motivated folks while creating intentional community. Tanner was born and raised in Portland, Oregon and attended the University of Oregon in Eugene for his undergraduate education in Sociology, with a focus on Environmental Sociology. Tanner’s interests are largely in the realm of food systems, environmental justice and political economy. For the past few years, he has been working in the food service industry, in addition to volunteering at school garden projects in his spare time. 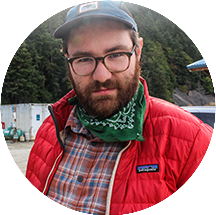 Tanner’s motivation for pursuing the Master of Education program at North Cascades Institute is based on his passion for education, and in particular, the ways in which food systems education can connect people to the environment. Tanner’s main hobbies are listening to records or tapes, gardening and cooking. Having a garden is a must for Tanner, and he enjoys the challenge of basing meals around what is growing, as well as helping others discover the joy of getting their hands dirty. Brendan grew up in Seattle, lucky to have parents with the energy to steward his love of nature. By age nine, he was an obsessed birder, a passion that has carried him around the world and led him to life-changing experiences in remote places. Learning about birds led Brendan to become a well-rounded naturalist, and he’s developed strong interests in botany and geology. With a passion for nature and a desire to teach, Brendan has spent much of his time as a professional naturalist, environmental educator, and outdoor guide. 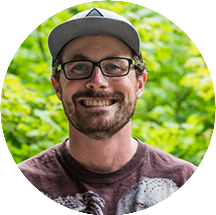 After graduating from the Evergreen State College with a Bachelors of Science, Brendan realized that he wanted to be more directly connected to the public by communicating concepts in ecology and issues in local and global conservation. When he’s not studying natural history, Brendan enjoys spending time outside hiking, paddling, climbing trees, cooking and gardening. He is a published writer and photographer focusing on natural history. His blog, Wingtrip.org, focuses on explorations of the natural world. Montana grew up in the Florida Panhandle, a place far away from the North Cascades known for sandy beaches, cypress swamps and curious array of reptiles. However, she’s always had a love for mountainous terrain and rock climbing. During her undergraduate career, Montana took time off from school to thru-hike the Appalachian Trail from Georgia to Maine. 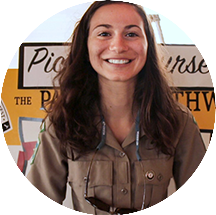 This five-month experience opened her eyes to the natural and cultural communities of the East Coast, and inspired her to pursue place-based education, as well as outreach for public lands. In 2014, she graduated from Florida State University with a B.A. in Creative Writing. 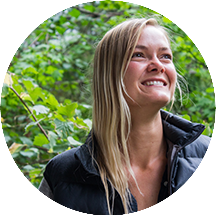 Soon after, she wandered out west to become a yoga teacher in Colorado, volunteered on farms in Washington and spent a summer interning at Wrangell-St. Elias National Park & Preserve in Alaska through the Student Conservation Association. Montana then moved to Whidbey Island to serve two years as the Interpretive Leader at Deception Pass State Park. In addition to learning more about education and nonprofit work, she is excited to explore the North Cascades and become a part of the community. Darcy Page was born on Whidbey Island and attended The Evergreen State College for her undergraduate degree. After college she worked as a marine naturalist, AmeriCorps counselor, outdoor science instructor, garden educator and horticulture therapy guide. Through these varied experiences, she had the opportunity to work with a wide range of student backgrounds, abilities, personalities, and needs. Darcy believes sustained time in the wild is one of the most nourishing experiences for a young person and for the future of our shared planet. 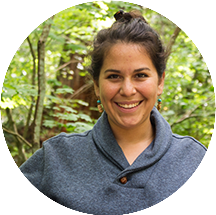 She has a strong interest in sustainable food systems and connecting youth to their place within the natural world. Darcy spent significant time working in Hawai’i and California but is excited to learn in her home state of Washington once again. A geologist by trade, Gina Roberti grew up digging quahogs and exploring the shorelines of the Narragansett Bay in Rhode Island (the state with the largest coastline per capita!) amidst ancient metamorphic rocks of the Appalachian Mountains. Since graduating from Brown University in 2014, she contributed to various public education projects about the geology of the Western U.S. in partnership with the National Park Service and Smithsonian Museum of Tropical Research. Most recently she worked as a field based educator and naturalist with the Canyonlands Field Institute in Moab, Utah. Gina feels strongly about the mission of the North Cascades Institute. 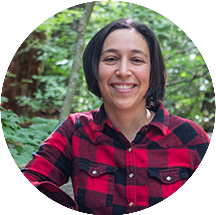 She is excited to delve into the natural history North Cascades, and to learn alongside peers, program participants and staff in such an intimate setting. She strongly believes in the power of education to inspire awareness, appreciation and stewardship for the natural world. Amy grew up in the San Fernando Valley of Los Angeles creating make-shift tents on top of her roof to use as reading forts. It wasn't until the age of 16 that she went on her first camping trip in Yosemite Valley and fell in love with the natural beauty that California has to offer. Once she graduated from UC Davis, she began to dedicate more of her time exploring national parks in Northern California. Her burgeoning passion for the outdoors has led her in search of a career where she can share her love of nature with others. She credits and values the many science teachers and science programs that were a part of her early education for her interest in Environmental Education and hopes to be able to provide kids with similar opportunities. Amy looks forward to exploring more of the West Coast with her ride-or-die puffball, Foxy. Originally from Central Florida, Kira obtained her undergraduate degree in Wildlife Ecology and Conservation from the University of Florida. After graduation, she traveled the world in search of sustainable lifestyles, exploring ecovillages in Europe, Africa, and North America. 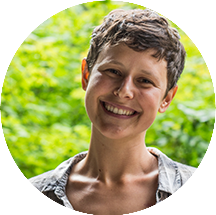 She completed the Ecovillage Design Education program run by Gaia Education and worked with the Global Ecovillage Network and Fellowship for Intentional Communities. She is also trained in a healing practice called Wholeness Energetics, which uses intuition and guidance to help people see themselves as the wonderful beings they truly are. Kira believes that in order to heal our world, we must first heal ourselves, and is working daily towards seeing her true self and the truth in everyone around her. Nate Trachte is 22 years old and most recently lived in Durango, Colorado where he completed his undergraduate degree in Environmental Studies. Nate grew up in the Adirondack Park in upstate New York where he fell in love with the outdoors. An avid backcountry skier, camper, hiker, mountain biker and lover of adventure, Nate spends his time outside whenever possible. He is passionate about getting young people with little access to green space out into nature in hopes of inspiring the next generation of environmental stewards. Making connections with the natural world has been immensely important in his life and he is hoping to be able to share that gift with others. 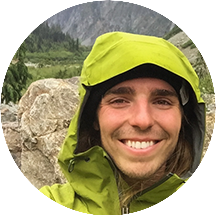 He is excited to be able to spend time in the area with North Cascades Institute exploring, learning and gaining the tools necessary to become an effective experiential educator. Hailing from the salty waters of the Salish Sea, Zoe comes to North Cascades Institute with a love for Washington’s untamed places. Raised in a family where her mother was door to the mountains and forests, and her father the introduction to the sea, Zoe has spent most of her life in solace with the outdoors. With over ten years experience of collaborating with youth, Zoe comes to the Institute with a strong background facilitating youth leadership, curriculum development, conflict resolution and community organizing. 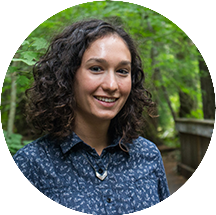 As alumni of Western Washington University, Zoe has collaborated with a diverse group of individuals in a variety of situations, facilitating after-school programs, summer camps and classroom experiences all across the world. 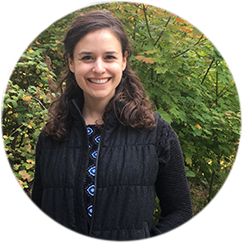 Witness to the self-worth and confidence fostered by an appreciation of the natural world in lives she has served, Zoe is thrilled to contribute toward youth enrichment in the Northwest and be part of something as amazing as the Institute.